Recent studies have shown that there is more to consider for office interior design than maximum efficiency of space. It can be the smallest of details that benefit a workspace the most significantly. Wall graphics and window graphics, for example, largely contribute to effective office interior aesthetics. Wall decals, magnetic graphics, glass graphics and privacy film, dimensional lettering, decorative graphics, and promotional or inspirational wording and images, etc. are all considered part of the broad category of interior decorations that we call window/wall graphics. Interior graphics substantially influence a business and its employees, customers, and company brand. Here are 6 advantages of wall & window graphics for office interior design. Graphics with bright colors and engaging visuals create a positive atmosphere. Inspirational quotes and images on the walls generate ingenuity and productivity in the work environment. Employees who can see samples of their company’s products or work feel more connected to the company, promoting creative thinking. When encouraged to think outside of the box, employees are more likely to offer new solutions and participate in innovation- establishing a stronger sense of accomplishment. It is important that a company stays true to its brand. 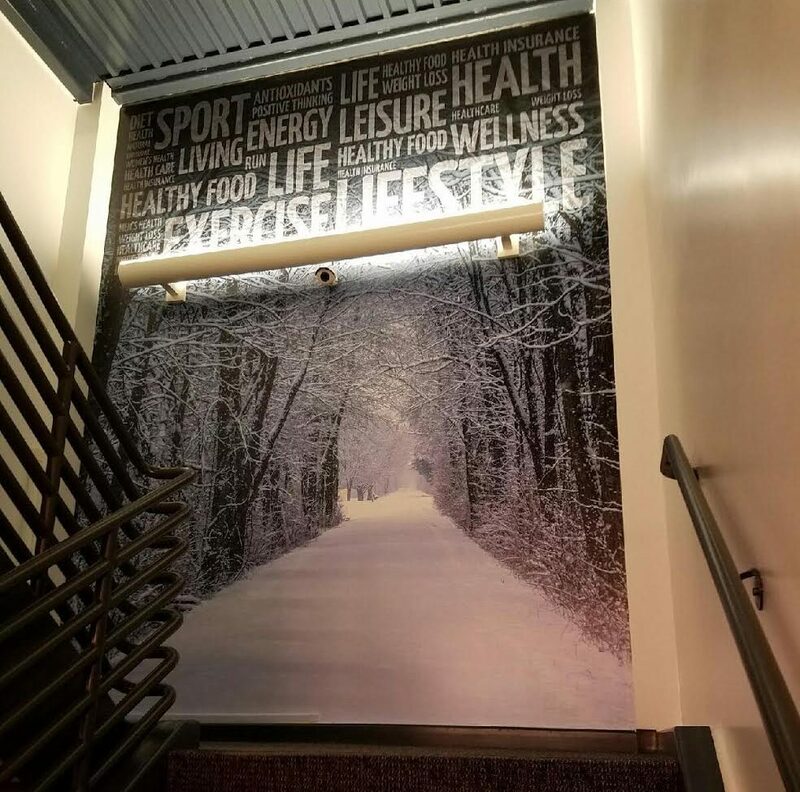 Wall graphics with your company’s mission statement serve as a constant reminder to your employees about what they should strive to achieve every day. Promotional images are a visual representation of the company’s brand value. Smaller companies can appear to be larger, more established firms by using their brand throughout their business. The more consistently a branding message is used, the more credibility, familiarity and trust is instilled. Wall and window graphics can be changed frequently without causing damage to any structure or incurring great cost. Value statements can become cliché, products get updated, and brand messages need to be refreshed. Occasional updates send the message that the company is forward thinking. Marketing is all about telling your story. While most companies do well at promoting their message to external customers, they often fall short when it comes to their internal customers. Office graphics are a great way to engage your employees and office visitors so that they know what you do and feel a part of the process. Incorporating wall graphics and window graphics into office interior design is nothing but beneficial to a business. It is odd to think that something so often overlooked can have such an impact, but it does. Being affordable, flexible, and capable of upholding the unique values of every company makes wall graphics and window graphics the most favorable choice for office interior design.